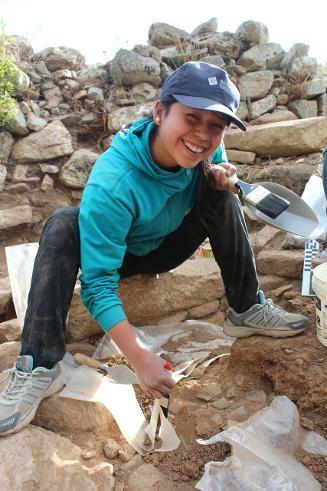 It is very important to PIARA that Peruvian university students who are studying archaeology in highland Ancash have the opportunity to work on the archaeological projects we carry out. These students do not always have the university or personal resources to do extended fieldwork on investigative projects as do their international peers. Furthermore, there are very few opportunities for these students to do fieldwork in their own region of the Andes, forcing many to leave the highlands to gain fieldwork experience on the Peruvian coast. In 2011 PIARA signed a convenio or formal relationship with the Universidad Nacional de Ancash - Santiago Antúnez de Mayolo (UNASAM) in Huaraz. This formal agreement states that PIARA supports the School of Archaeology at UNASAM with needed equipment and supplies and sponsors UNASAM archaeology students to do their practicums on PIARA projects free of charge. Because PIARA also offers a field school to international students, this opportunity allows field school participants to learn along with Peruvian students as a single cohort. In our first year, we supported thirty-one archaeology students from UNASAM in their practicum training at Hualcayán, and five UNASAM students completed their final year thesis projects with PIARA. Each year we continue to support numerous UNASAM students in research experience. We have also supported students from San Marcos University in Lima to gain research experience or complete their Bachelor's and Licenciatura degrees with us. As part of our convenio with UNASAM, we have donated a variety of materials to the Escuela Académico Profesional de Arqueología in the Facultad de Ciencias Sociales, Educatión y de la Comunicación. This includes a Nikon total station and four GPS units for mapping archaeological sites, a computer, scanner and printer for the creation and management of digital maps and GIS analysis, and two-way radios for communication during fieldwork. 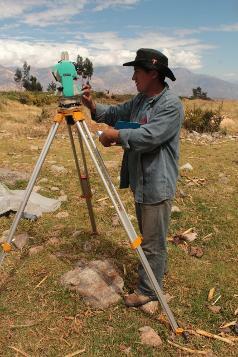 This equipment has allowed UNASAM students to conduct independent archaeological research in other areas of Peru with minimal additional funds. 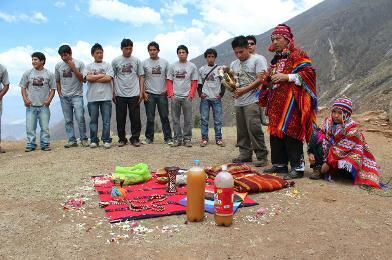 PIARA further supported the UNASAM archaeology program in 2011 by sponsoring the annual "Andean baptism" they hold for their incoming class of students. We conducted this baptism on the ancient ceremonial mounds at Hualcayán where a Quechua shaman blessed each of these students as they initiated their careers in the study of the Andean past. This was also an exciting event for the Hualcayán community, where archaeological experts and students from other parts of the Callejón de Huaylas valley came and demonstrated their interest in the archaeological ruins at Hualcayán.